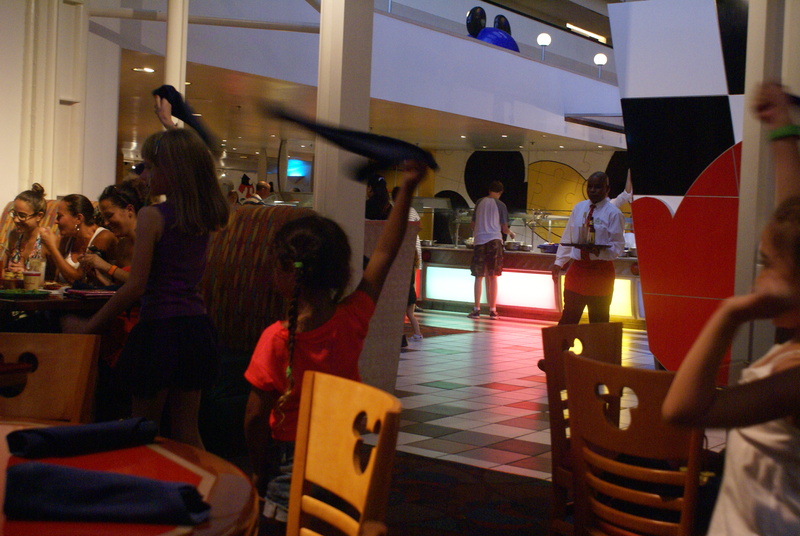 Whether you’re staying in Contemporary Resort or not, Chef Mickey’s is definitely a place to go if you get a chance! 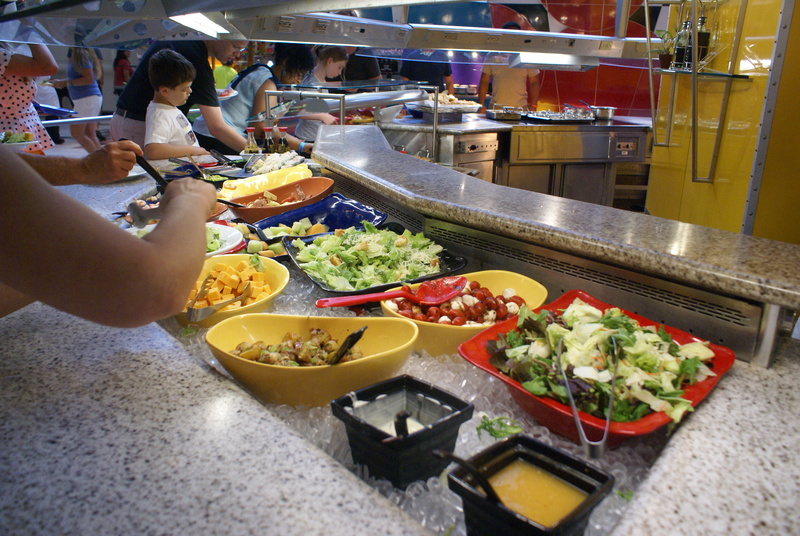 The food is an all you can eat buffet, with a salad bar, soup of the day, carvery meats, pasta bakes, and a load of veggies and side dishes, as well as kiddie options such as Mickey shaped mac and cheese, chicken nuggets and pizza. Oh, and did I mention its a character meal? Well it wouldn’t be Chef Mickey’s if the chief himself didn’t visit! Mickey, Minnie and the gang all come round to make sure everything’s ok with your food, and make sure you don’t get too messy, cos you’ll be needing your napkin for the famous napkin dance – yes, that is exactly what the name suggests; join the characters as you dance around the restaurant waving your napkin over your head! A real hit with the family, and a great excuse to ride the monorail from the Magic Kingdom! This entry was posted in dining review, Disney, Disney Food and Drink, Disney World Tips + Secrets, resorts and tagged Chef Mickey's, Contemporary Resort, Disney World, restaurant. Bookmark the permalink. I’ve been to Chef Mickey’s for dinner (2014) and breakfast (2015). I have to say I actually wasn’t overly impressed with the dinner, it wasn’t as nice as I’d expect for the price it was! But breakfast was incredible and I was glad we returned for that. Meeting the characters is obviously always amazing as well. I’d definitely go back for breakfast again! Hello, your blog is awesome, and I have nomainted you for award!! Our first reservation next week is Chef Mickey’s for brunch. I can’t wait!